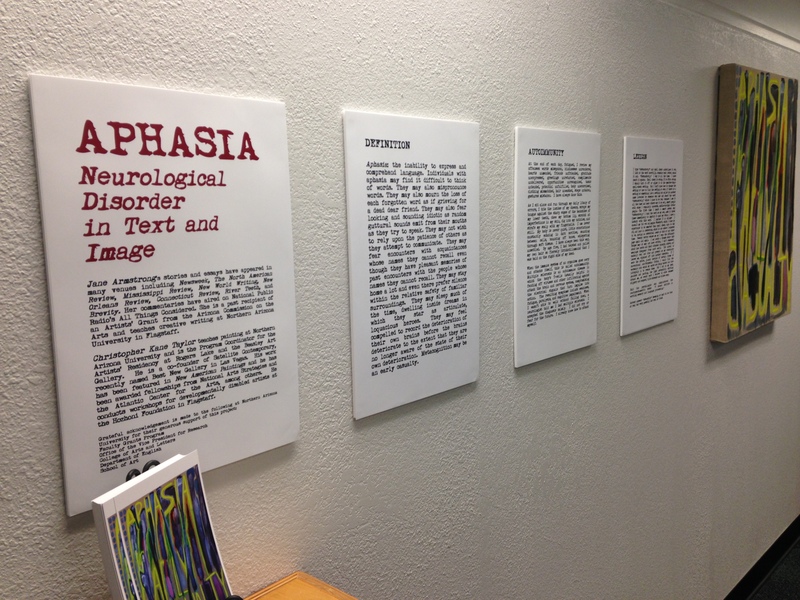 “Aphasia: Neurological Disease in Text and Image,” is a new exhibit on display at NAU. It features micro-essays by Dr. Jane Armstrong and paintings by Christopher Kane Taylor. Read an article on the exhibit and collaboration in the Arizona Daily Sun.